by Nia Whiteley, Bangor University for The Conversation. Coastlines and estuaries are already challenging places for marine organisms to live. The physical properties of seawater – salinity, temperature, pH and oxygen levels – vary frequently. And with further environmental fluctuations due to climate change, they are becoming even more demanding. Patterns of sea surface salinity are changing, as fresh water input increases, due to exceptional storm events and runoff from flooding. 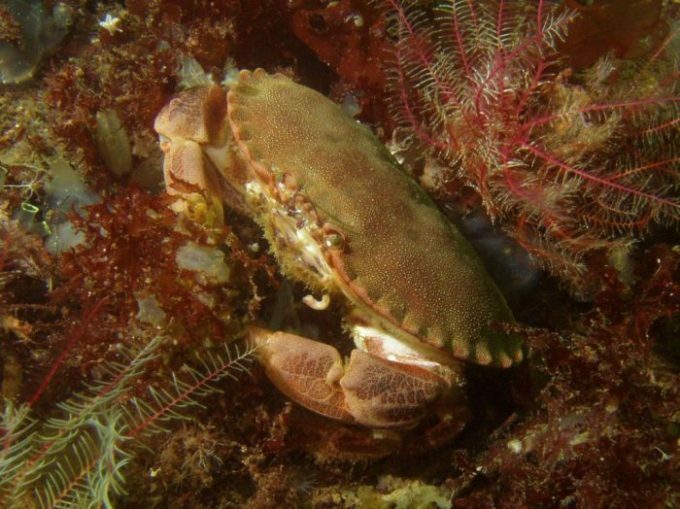 For our newly published study we decided to look at this combination of factors by focusing on two species of marine crabs: the edible crab (Cancer pagurus) and the shore crab (Carcinus maenas). Both are common to UK waters, but experience different degrees of environmental variation in their natural habitats. For edible crabs, home is typically the low intertidal shallow shelf waters for juveniles, and down to 100 metres for adults away from the influence of freshwater. While shore crabs typically live in estuaries and experience dilute seawater on a regular basis. 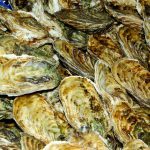 This article was originally published as Edible crabs won’t cope with the effects of climate change on seawater – new study at The Conversation on 23/10/18.